Vintage watches: So where do I start? Let’s start with a brand whose strong influence on the industry (and in facts et the timing standard for the rest of the watch industry).Who doesn’t love a list of Rolex watches to gawk at and dream about? Luckily Bloomberg decided to give us a list of almost two dozen instead of the typical one watch reveal. The watches range from classic to vintage Rolexes, and range in price from…well you know the price of Rolexes. Starting with the “bread-and-butter” end of the spectrum are a few handsome Datejusts with black and grey dials. They’re typically more consumer-friendly rather than vintage, but a favorite nonetheless. On the more collectible side is a stunning 18K yellow gold Day-Date “President” shown in its original red box. At the top of the list is a ref. 6263 Daytona, often called a “Big Red” because of the large Daytona writing above the subdial at 6 o’clock. It’s only around $60,000…but it’s extremely rare! The rest of the list falls in the middle of the price range with a few GMT-Masters, Submariners, and less common Oyster Perpetuals. Once you’ve educated yourself on what you’re hunting for, get hands on. Condition plays a huge part in pricing vintage watches. When buying vintage watches, original condition is vital. Check the serial number for the watch’s age and, if possible, make sure that the movement number lines up with the case vintage. Almost just as important as the watch itself; buy the seller before you buy the watch. Don’t be afraid to ask to talk to the seller on the phone. There are numerous watch sale forums online, but there are also reputable individual dealers, both local and online. While they tend to be more expensive, they also tend to sell better products — watches that are serviced and authenticated. Gear Patrol is a fantastic recourse in “how to” buy vintage watches. Well there you go. We have established what a “vintage” is, how to price it, and what you might want to look for when shopping for vintage watches or, if you’re a Rolex fan, vintage rolex watches. Ultimately, the choice is up to YOU in what you search for, and we look forward to you joining us in the “hunt” as fellow watch enthusiasts. Watch collecting, and vintage watch collecting at that, is a spark that becomes a flame that cannot be extinguished. 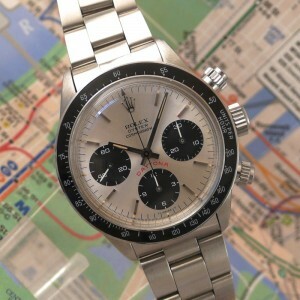 For more on collecting vintage watches, the following resources offer both fantastic and valuable information: Vintage Rolex Forum, Military Watch Resource, On the Dash, HODINKEE, and Gear Patrol.